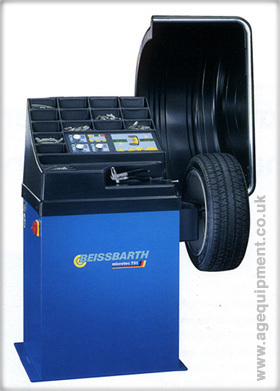 Model 731: Automatic measurement with wheel braking precisely at the balancing position. Twin LED display of imbalance values. Display of balancing positions by direction arrows. Six balancing methods. Matching program. Wheel sizes up to 20". Wheel weights up to 65 kg.